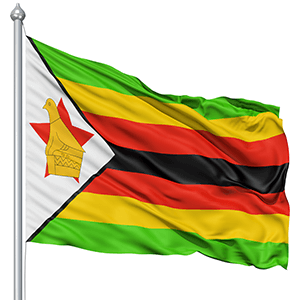 At present there are about 50 Zimbabwean students are studying in Belarus at different universities and colleges and more admissions are in processing for 2019 intake. Normally Zimbabwean students come to study General Medicine course and some study at Engineering degrees too. Zimbabwean students who are good at English so they join their degree programs directly in English medium of instructions. Main cities from where Zimbabwean students come normally are Harare and Bulawayo and Harare is the capital of Zimbabwe too. Zimbabwean students do not need to attend Belarus Embassy for visa application as they obtain on arrival visa at Minsk international airport with the help of official study invitation approved by federal migration department and OK TO BOARD letter which also allow them to depart from Harare international airport. It is the responsibility of the international students to inform us 3 days in advance about their departure as we have to prepare their reception documents for immigration at Minsk international airport to receive them with all legal formalities. Zimbabwean students pay the visa fee 130$ at the immigration counter and the visa is pasted in his//her international passport. Process is same for all international students to get admission in Belarus at any university but the admissions are approved by federal migration department finally. Interested applicants must scan us their secondary school certificate with international passport copy in the admission staff email (studyabroadbelarus@gmail.com) and these documents are assessed according to the requirements of desired course. Assessment takes 1-2 days and applicant is informed and than he/she transfers the admission processing fee and scan the receipt to the admission office. Once admission staff receives the admission fee receipt,They forward the documents of the respective applicant for processing and this processing takes 2 weeks. Once official study invitation is issued,It is couriered on the address of the applicant. Upon receiving the invitation letter applicant buys the return air ticket and scan a copy to admission office in their email box. Than admission office process the OK TO BOARD letter for departure from Harare international airport and scan it to the applicant in his/her email. In other European countries admissions are confirmed by the colleges and universities but in Belarus invitations/admissions are confirmed by the Migration department of Belarus for international students not by the colleges and universities. All above documents are accepted by scan. Once we receive the all requirements the visa processing time is 2 weeks. So if you are an international applicant and have decided to study in Belarus for 2019 intake than write or call us today for a quick admission process.